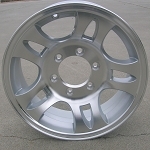 16" Aluminum T02 Trailer Wheel. 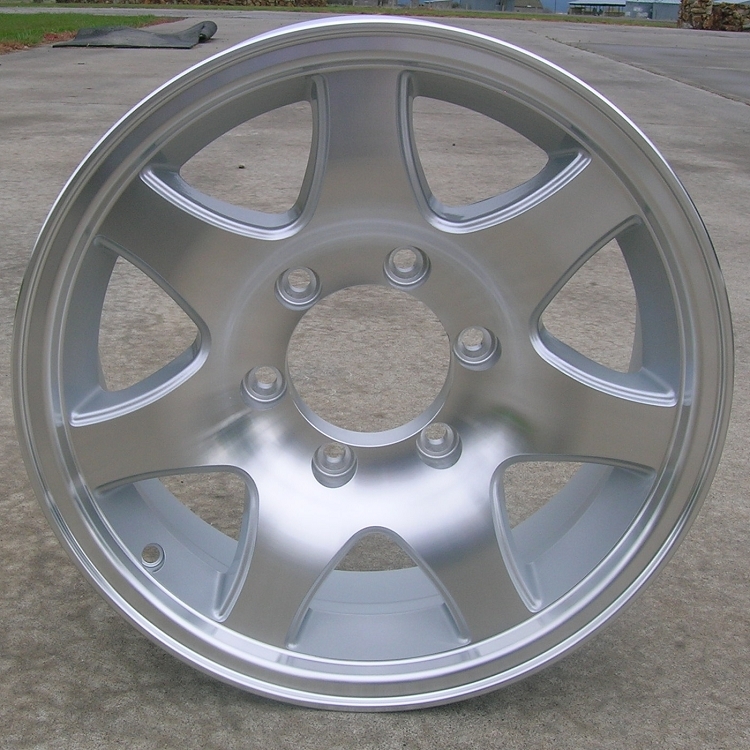 The exact size is 16" x 6" 6 lug on 5.5" bolt pattern. Center hole diameter is 4.25 inches. Max load is 3200 Lbs per wheel. Most common tire sizes mounted on this wheel are 235/85R16 and 235/80R16. Wheels were Top Notch. Fastest shipping. This was our second order for the same wheels. Good value. Thanks. Got them and they are great. Thanks for the order.